Who doesn’t love a good lip balm right? I know everyone talks about lipstick and lip stains and lip gloss but none of those matter if your lips aren’t taken care of. Finding the perfect lip balm is no easy task. It’s either too sticky, not moisturising, smells strong or tastes funny. 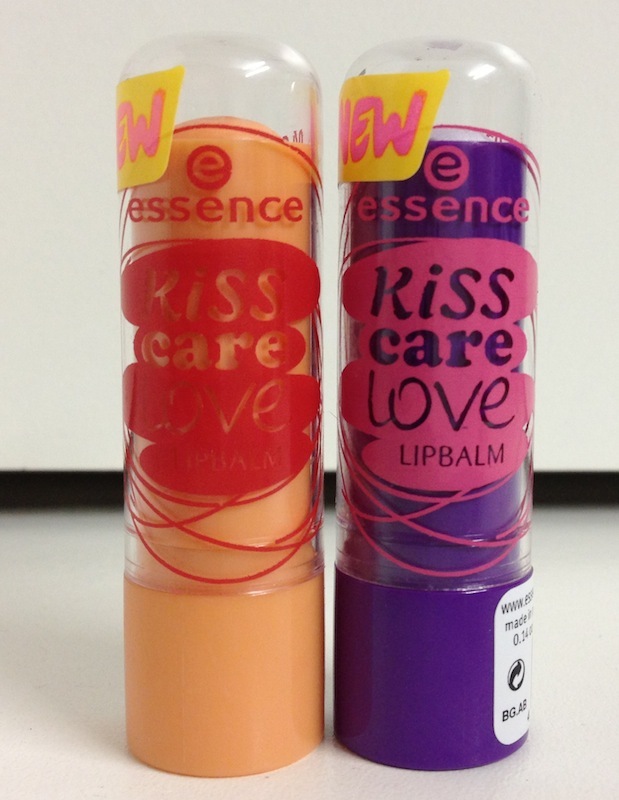 I have found a few really nice lip balms but this Essence lip balm is really something special. During my year of HS treatment I was on roaccutane and that left my lips very dry. Every time I spoke my lips would crack and bleed. That meant I was constantly slathering my lips in any balm I could find and gave some relief. I did end up using a medicated one that was lovely but a bit expensive. Since getting off the treatment, I still have the habit of using lip balm often. Not as much as before but still often. 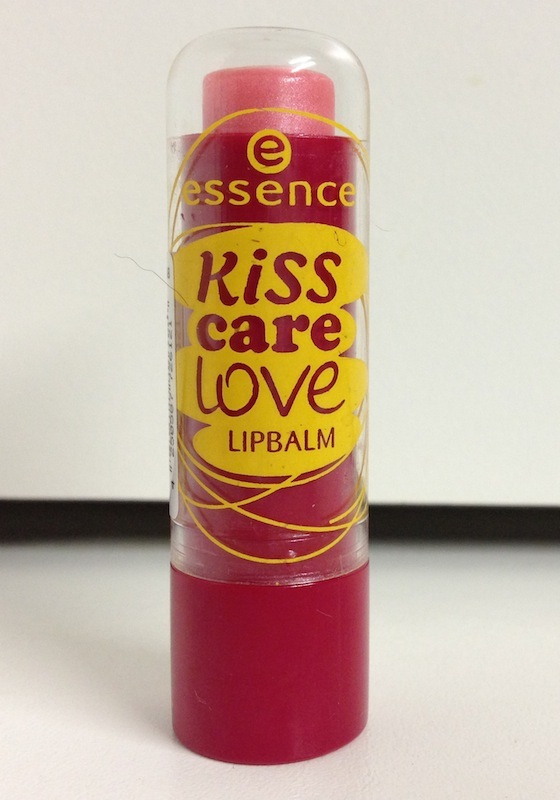 Essence Kiss Care Love Lip Balm is amazing!!!! I have 01 Fruit Crush but I will definitely be getting the others as well. Which means I can have one on me at all times. The other colours are 02 Purple berries; 03 Fruitylicious and 04 Caribbean Sunrise. First of all, this lip balm smells good enough to eat. Seriously, it smells like the name suggests. Once you’ve applied it the smell is not strong and overpowering. It leaves my lips soft and smooth. It’s like butter. Well not real butter because I have no idea how that feels on your lips but you know what I mean. It’s not sticky and doesn’t stick to everything. I find this last for a really long time too so there is no need to apply every few minutes. Unless, like me, you just love it so much and can’t help yourself. The smell…oh the smell. 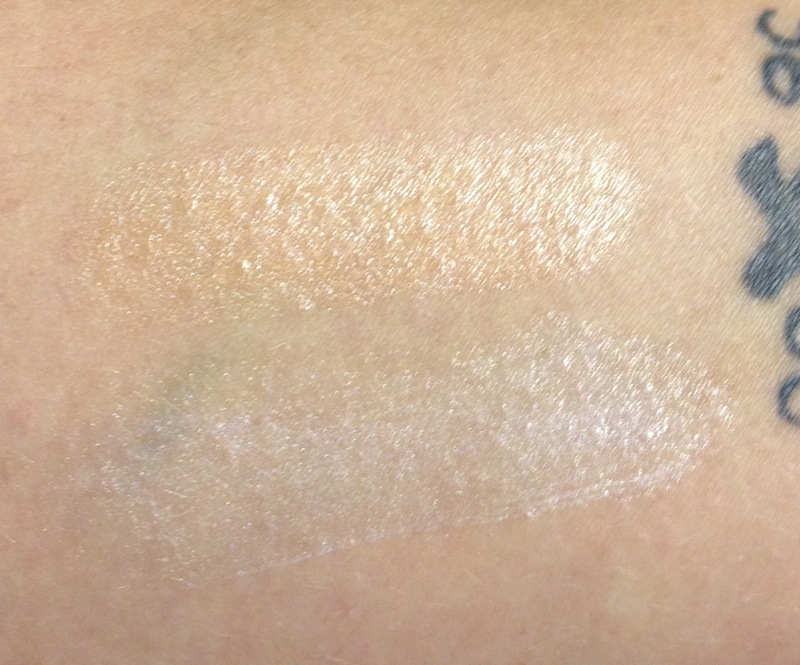 It isn’t very pigmented so you could still use your lipstick over it if you would prefer. I haven’t but I am sure you could. This photo is what it looks like on my wrist. This is way more than you would put on your lips so you can see how subtle it is. It does have a bit of a shine to it, or maybe shimmer is the better word to use. I find it looks really natural. 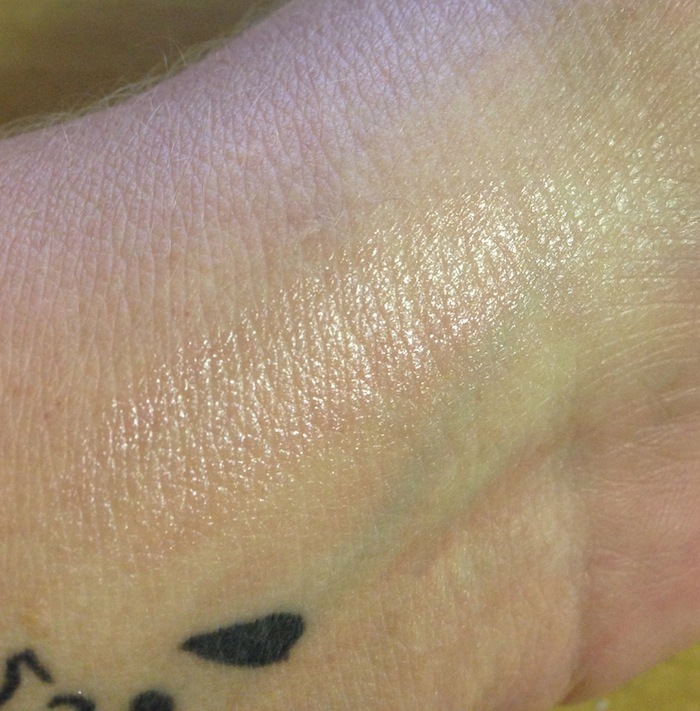 On my wrist – this is about twice as much as you would use on your lips (if not more). I really love this lip balm and if you are a fan of lip balms in general or even in the market for a good one then you need this. 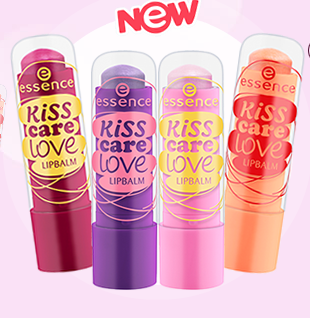 Essence Kiss Care Love lip balm is everything you need in a lip balm with a whole lot more. I am definitely going to get more of these. By the way, Essence revealed that the new trend edition to hit our shelves will be the “Oz the Great and Powerful” trend (more on this later). 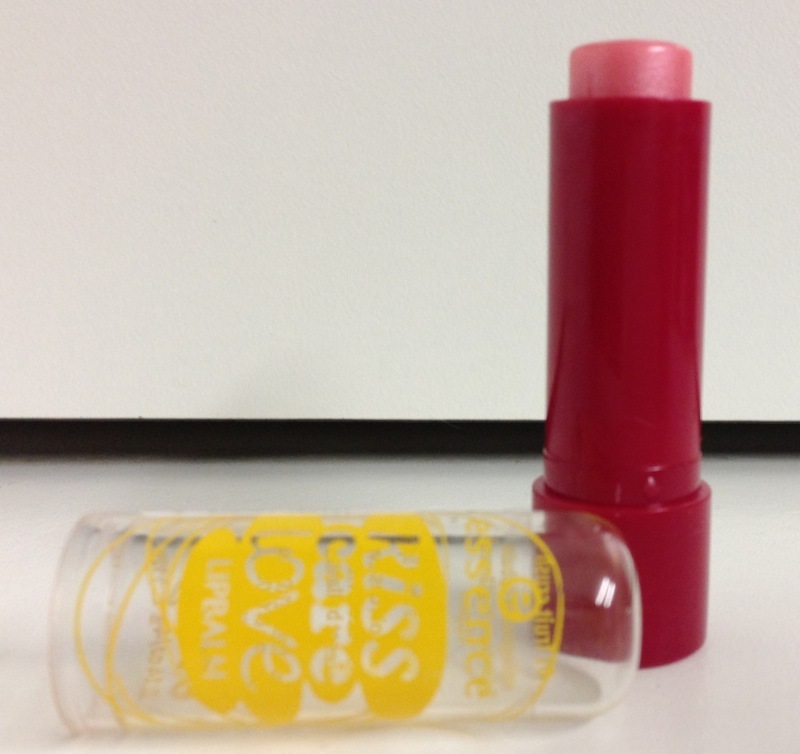 Included in this trend are two new lip balms. I can’t wait to try them out and see how they compare. 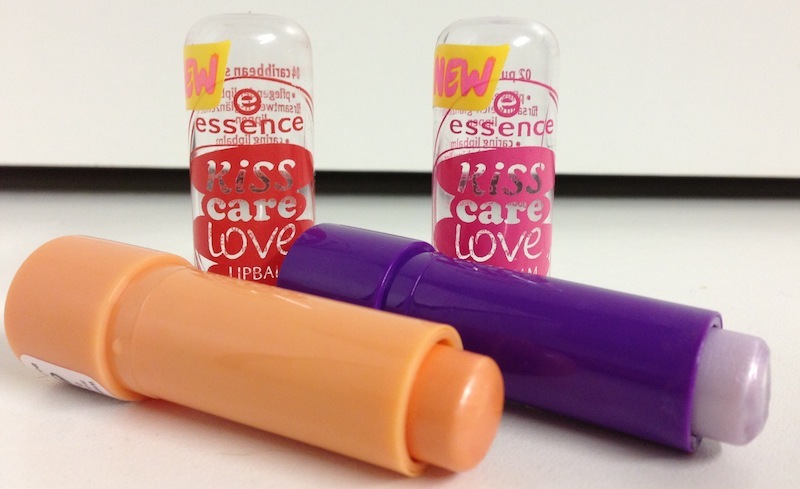 You can find these lip balms on the Essence stand at Clicks or Dischem for R16.95 each. Trust me, you should absolutely try this out for yourself! Best of all, Essence is cruelty free. I got my hands on 2 more of these lip balms. This is 04 Caribbean Sunrise and 02 Purple Berries. I can confirm, once again, that these are amazing!!! I want to try the caribbean one for definite and the price is VERY nice! I used to be a lipbalm person in school, these days I don’t wear them anymore and just use my Zambuk and gloss. You’re right though, gloss is no point if your lips aren’t in good condition. Definitely looking for this tomorrow!